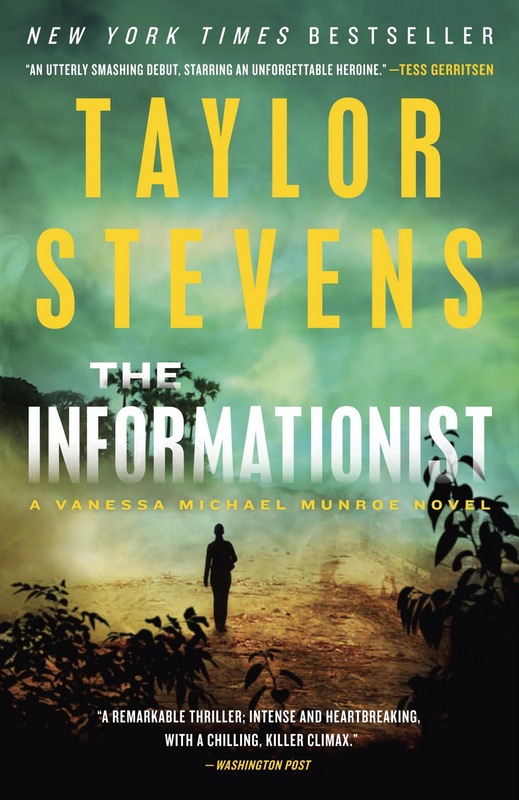 Taylor Stevens is an award-winning New York Times bestselling author whose debut novel, The Informationist, took the literary world by storm in 2011. 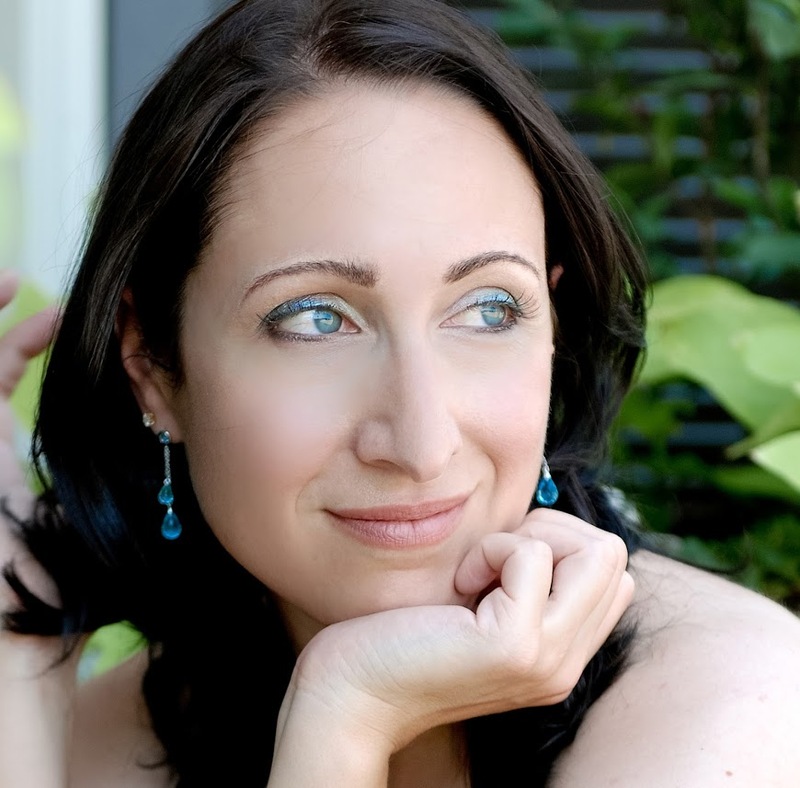 Since then, she’s published two more novels starring the popular protagonist Vanessa Michael Munroe: The Innocent and The Doll. 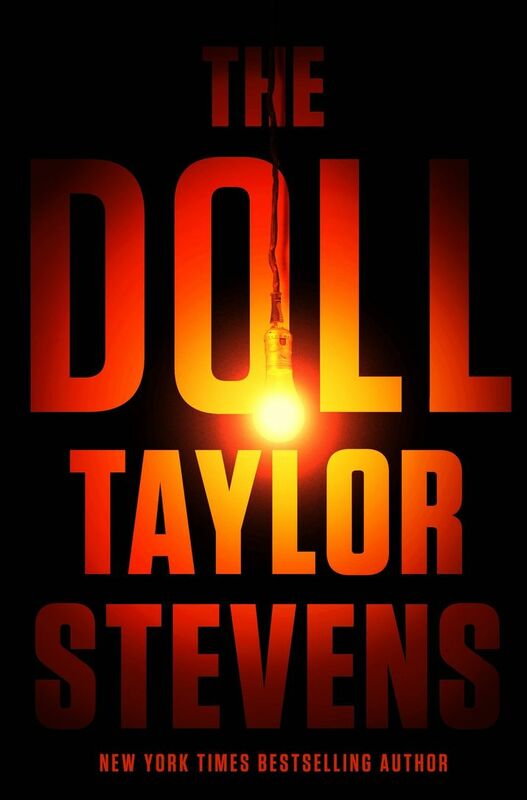 I had the pleasure of meeting Taylor at ThrillerFest VIII in July, and she was kind enough to grant me the interview below. I hope you enjoy it. You grew up in a communal apocalyptic cult where, as a teenager, you entertained the children with stories. What inspired these stories and did you use them as a way to briefly “escape” your dire surroundings? Imagination was very much an escape mechanism. We didn’t have access to the outside world, so basically no novels, no television, no outside music and very, very few pre-screened movies. We spent a lot of time doing mundane manual labor—washing laundry, cooking, taking care of younger children—or out on the streets begging and that often meant considerable hours getting to/from our begging spots with nothing to keep our minds engaged in-between. Telling stories turned me in into the de facto entertainment and that’s pretty much how it started. You’ve said that your scholastic education stopped at the age of 12 when you were separated from your parents. Having met you and read your books, I can say, without a doubt, that you’re a very intelligent woman. How did you go about catching up on those lost years of learning after you broke free from the cult in your 20s? For some things, I still haven’t. There’s a huge difference between intelligence and education and although I’m very fortunate that I have the ability to self-teach through absorption, there are some things that I’m resigned to never grasping. For example, since math for me stopped when I was around 11, I still struggle desperately with math concepts. Math is one of those things that you can’t just skip three years and pick up where you left off by reading a few books. Even though I understand everyday mathematical concepts well enough to, say, manage money, I’m so bad at math in general that even using a calculator I still have to add numbers three times just to be sure I get the same answer twice. I read a lot—I’ve read so many text books cover-to-cover—that in many subjects you could say I’m better read than many people who’ve gone to college. But it’s splotchy and not exactly an “education” in the strictest sense. I couldn’t put it on a resume. I’m still kind of screwed in that regard if this whole writing thing doesn’t work out. Being a mother, I’m sure finding time to write must be hard. How do you overcome this challenge and do you set out to type a specific number of words every day? I do have to juggle around their needs and there are times when this is easier said than done, but it’s far easier now than it used to be when they were pre-school and kindergarten ages. There are also chunks of time, for example during research and promotion—which in my case often means having to travel—as well as key points when contributing to a manuscript in its journey through the production pipeline, that it’s just not possible for me to put new words on a page. My goal, when I’m actually writing, is 1000 words per day, 6 days per week. I don’t always hit it, but that’s the goal. The Informationist, your debut novel, was a bestseller that was well received by the public and critics alike. How did it feel when James Cameron’s production company, Lightstorm Entertainment, picked up the film rights? And will you play an active role in the development of the screenplay? That was an incredibly surreal experience. I believe the exact words out of my mouth when my film agent gave me the news were, “I’m sorry. I don’t think I heard you right. Do you mean James Cameron as in “Titanic” James Cameron?” Whether or not The Informationist actually gets turned into a movie still remains to be seen. Last I heard he was working on Avatar 2, 3 AND 4. That’s a long wait. Generally speaking authors have no input on any aspect of movie making. There are exceptions—I expect if I wrote Twilight or Harry Potter things would be different—but I really respect James Cameron as a film maker and love what he’s done with the female characters in his films. I trust him and am just as eager as my fans to see what he does with Michael Munroe. Do you draft an outline before sitting down to write a book or do you start with an idea and see where it takes you? I’ve done it both ways. With The Informationist it was very much by the seat of my pants and it was probably more of a surprise to me how the story unfolded than it was for my readers. Vanessa Michael Munroe as a character was definitely a by-product of pantsing, because I certainly didn’t have her figured out before I started writing. But it also took me roughly three years to write The Informationist. Granted, it wasn’t my full-time job, but still. I do outline now. This came about as a matter of desperation—I didn’t know if I could write another book, and I had to prove it to myself by first telling myself the story. But what I found from doing that was that I could write a whole lot faster when I knew what was happening before I actually began. As it is now, because I work on such tight deadlines, I can’t afford to spend a month or more writing in one direction only to find out it didn’t work and have to go back and start again so I have turned into an outliner. I have heard of some authors making copious notes, writing out family histories for the characters and such, but I have never done that. My outlines are something closer to simply talking out the story to myself, a “tell don’t show” proposition that runs into about thirty pages. Once the writing begins, those thirty pages will turn into about 500 or so, which will be cut down to around 450 and that will turn into a 320-page book, give or take. My favorite book of yours is The Innocent because the subject matter was fascinating and it featured great emotional depth. Clearly, this was inspired by your experience growing up in a cult. Was writing this novel a cathartic experience for you? I actually get this question quite often and it always makes me smile. Drawing directly on my background wasn’t necessarily easy, but I’d long come to terms with and already made my peace with what happened growing up—I don’t think I could have produced the book otherwise. 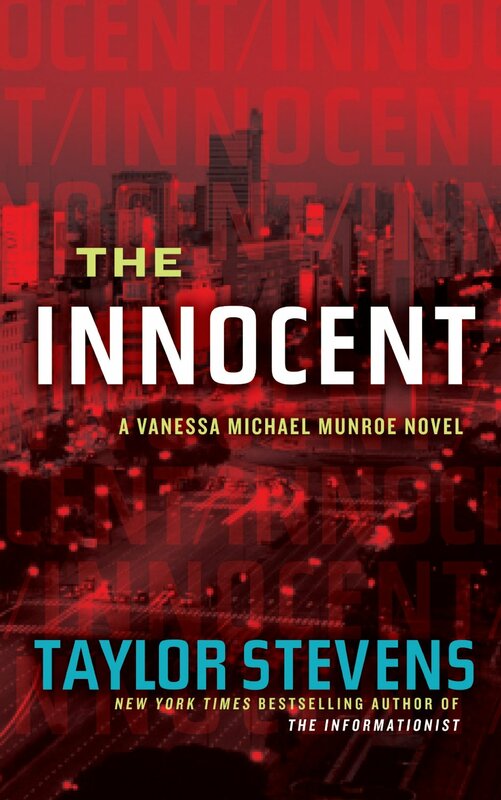 Mostly, it seemed like a perfect opportunity to showcase more of Vanessa Michael Munroe’s skill and badassery while at the same time offering readers access to a firsthand account of cult life that most thriller writers don’t have. If there was any part of the experience that was cathartic, it was in finally being able to give a voice to the hundreds and thousands of kids who were raised like me—to raise awareness of the issues and prejudices we face. There is so much misunderstanding and judgment against us simply because of where we were born and how we were raised, choices that were made by our parents, not us. Our story has been hijacked by the cult, by the media, by sociologists, by basically everyone. It was fantastically satisfying to finally have our story told from our point of view—not some twisted version put out for ratings and sensationalism. What do you find most satisfying about being an author? Every day I wake up grateful that I get to do what I do for a living. I consider each additional book to be a stay of execution which allows me, for one more year, to still get to plan my own schedule, spend hours alone in relative quiet, and be able to be available to my children whenever they need me. I’m completely ruined for real life. I don’t know that I could ever hold a corporate job—not that I couldn’t do the work, I just don’t think I could handle the lifestyle that comes with it. As far as I’m concerned, you’re one of the most talented authors when it comes to metaphor usage and this sentence is a perfect example. Do you spend a lot of time coming up with these or do they organically flow out of your writing? Wow, thanks for the compliment. I’m blushing. My understanding of grammar is still stuck in 5th grade and 5th grade was a long, long time ago so, if you asked me to explain what a metaphor is, I’d probably just give you a blank look. Most of what I write just comes from instinct, from trying to translate emotion and feeling into words that make sense to other people, and then attempting to craft those words with as little corniness and as few reading hiccups as possible. What’s the most challenging part of writing for you? The initial draft, for sure. This is where the actual scenes are fleshed out, the characters are built, and the plot is intertwined. It’s torture. When it comes to the nitty-gritty: action sequences are the hardest, especially when they involve multiple characters. Conversations are the most fun and go the fastest—that’s when the characters get to come alive and their conflicts play against each other. Oscar Madison once said, “I don’t like writing. I like having written.” Do you identify with this sentiment or do you enjoy the writing process from start to finish? Oh, yes, I absolutely identify with that sentiment. So many authors have been credited with that quote, and I’ve heard it used by so many friends, that I’m beginning to suspect it must be a universal truth among writers. Personally, I’m not really what I’d consider a “creative.” I’m far more comfortable with things like spreadsheets and data entry than crafting people and places and lifetimes out of nothing. It’s one thing to be able to make up a story with words, using broad brush strokes, and another entirely to bleed it out on paper in excruciating detail, so for me, developing the first layers of writing a book is incredibly difficult. Editing and re-writing after the initial creative work is finished is much easier and, since that’s the part of writing that makes a crappy story readable, that has worked out pretty well for me so far. 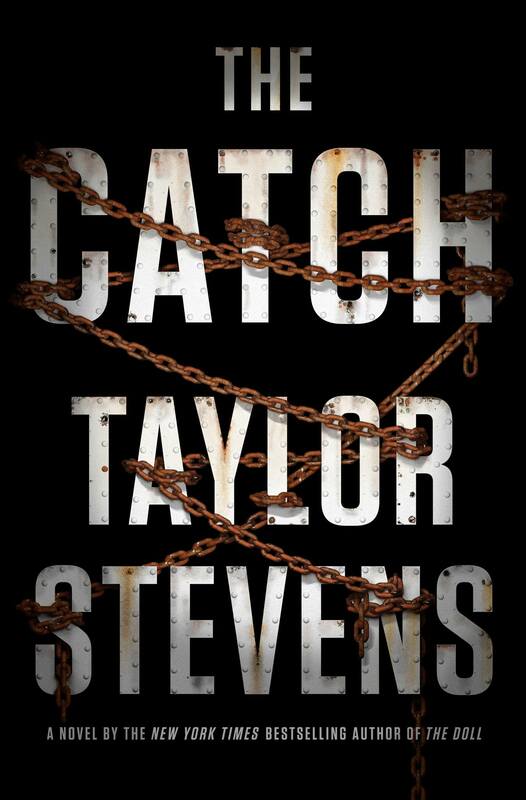 You just completed your fourth Vanessa Michael Munroe book, The Catch. What’s the story’s premise and in what countries is it taking place? In The Catch, Munroe is headed back to Africa, this time to the north and east where she gets tangled up with a hijacked ship. Readers will have an opportunity to watch how she operates when she ends up in unfamiliar territory where she’s on her own and where she has no prior contacts or connections. And this time—unlike The Doll which entwined two timelines, two casts of characters, and two different plots—there is only one plot and one point of view. In The Catch, it’s pure Vanessa Michael Munroe, all the way.